Wow!!! Such vivid color on the last two — really striking. Thank you! The light was PURE AWESOME, I shot the last two right outside of our house, just looking up really. Beautiful shots! I’ve yet to photograph the moon, but I’m dying to get out there and give it a try. What settings did you use? Why or how I used vastly different settings but got the pretty much same results I really will never know! I forgot to stop back by to thank you for providing your settings. I have them saved in my phone so I can do some playing around next time the moon comes out to play and I have my camera handy. 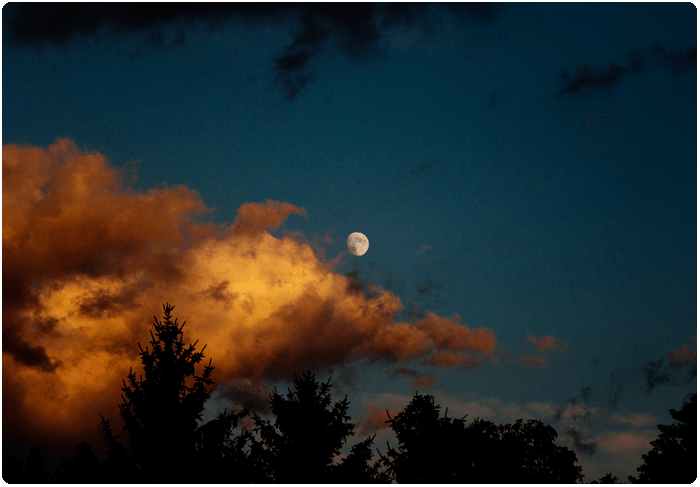 Great capture of the clouds with the moon! Really fantastic! The cloud and the moon both have like a rusty hue to them, it’s really bizarre! Oh yes, it looked SO “almost-Autumn” to me! Whenever I see your photos, I want to become a photographer! Gorgeous moon photos. I love taking pictures of the moon but it is hard sometimes to get a good shot of it. 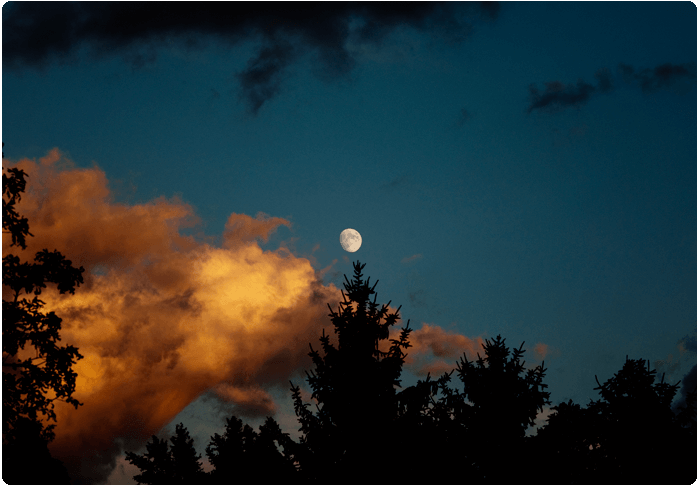 I like how you captured the clouds all lit up with the moon. Thank you! It can be hard, a good trick is to use a longer focal length and a smaller aperture.